Elmcroft of Timberlin Parc, located at 7620 Timberlin Park, Jacksonville, FL 32256, is a senior living community specializing in Alzheimer's, Assisted Living, Respite/Short Term. 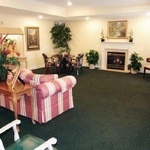 The community is a part of Elmcroft Assisted Living's family of senior care communities. The cost of living in Elmcroft of Timberlin Parc starts at about $3,090 a month. Elmcroft of Timberlin Parc is located near the St. John’s River. Jacksonville is located just north of the oldest known settlement in the United States, St. Augustine, Florida, and is host to millions of visitors from all over the world. 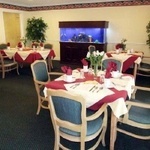 Our residents enjoy a daily serving of fabulous Florida with a splash of southern charm. 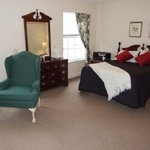 View the complete list of or for all Elmcroft Assisted Living Jacksonville facilities Jacksonville assisted living communities. For more info on Elmcroft of Timberlin Parc, contact the community with the form to the right. 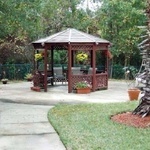 Elmcroft of Timberlin Parc is located at 7620 Timberlin Park, Jacksonville, FL 32256. I understand minimum monthly rates start at $3,090 and Medicare/Medicaid is not accepted.